One name - Fight Club. Survivor is another brilliant piece from the guy who wrote the book that was made into an awesome, must-watch movie starring Edward Norton and Brad Pitt. 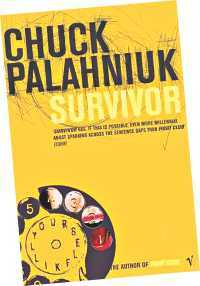 Palahniuk's Survivor is what is called transgressive fiction - fiction dealing with characters confined by norms trying to break free. But semantics and existential angst aside, the sheer darkness of the plot is enough reason for reading this book. When a friend of mine gave me this book, he warned me that it could scar for life - and while that was a little exaggerated, anyone who has seen Fight Club will know that Palahniuk can be quite disturbing. The book is about a Creedish cult which believes their job on earth is to be a servant to the human race. The story runs backward starting from chapter 47, in the cockpit of a Boeing 747 as Tender Branson the last survivor of the cult records his life story in the black box of the crashing plane. Tender Branson is a housekeeper, working for a rich couple whom he teaches etiquette and social manners. 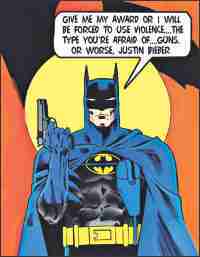 He has a fake crisis hotline. Drunks miserable about their life call him in the middle of the night and he decides their fate, so to speak - sometime telling them they should just end it all. Branson describes his life story and weird as it is, you can almost hear his voice inside your head - a very flat, unemotional voice. You can imagine him talking about how he cleans the house and how he collects plastic flowers left on graves in a mausoleum in the same tone. Here is a man totally resigned to the way things are. As more and more members of the death cult commit suicide, it is suspected that someone is gradually killing them off. And then one day Tender is the last remaining member of the cult and overnight he turns into a 'media messiah'. Reporters swarm around him and an agent turns the survivor into a commodity. He begins giving interviews and life as a celebrity starts taking its toll. Branson becomes a divine figure up for sale, a modern day capitalist icon. Tender Branson products sell like hotcakes and due to his seemingly prophetic abilities, his fame just keeps on rising. Other important characters of the story include Fertility Hollis, a psychic girl who 'knows everything', helping out Tender along the way with predictions. As events lead up to the time that Branson is on the run, being suspected of the murder of his agent, the engines of the Boeing go out one by one. Oh, and it turns out he is NOT the last surviving member. The book has one of the most unexpected endings ever. The whole plot is filled with twists and turns which one would expect from the author of Fight Club. The book is written in short sentences which make it a very fast read. It has dark, macabre humor and is an excellent read. The book may be a little disturbing to some and in only a few places the plot could be a little hard to follow. 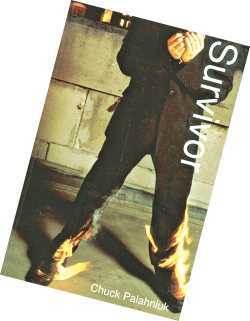 Other than that, for a gripping plot and a fast read, Survivor is definitely recommended. In the frosty weather, visualise yourself in your bedroom, ceiling-fan turned off, windows and doors shut, and you are covered head to toe with your warm and fluffy blanket. Feeling cozy? Now imagine yourself in the streets - no doors, no windows, no blanket. All you have to keep yourself warm is a piece of tattered cloth. Are you feeling the chills in your spine already? Those who dwell in the poorest parts of the country have to go through this for the entire season. Some of them will die. CommunityAction, a student-run non-profit organisation in operation since 2008, introduced its winter project - Action: Ushnota, through which, its volunteers, who call themselves Actioneers, distribute warm clothes to the areas of our country where it is needed the most - the coldest and poorest regions, especially the North. It ensures maximum impact by starting the distribution process as early as possible and by focusing on wider Bangladesh, not just Dhaka. Countless people remain sceptic about the good that results from distributing such a microscopic amount of clothes when the actual need is beyond our imagination. The answer is that every development needs an initiation - a selfless one. Last year, through Action: Ushnota 2010, CommunityAction distributed warm clothes to over 7,900 people. The distribution took place in about 12 districts with most of the clothes going to areas such as Rangpur, Gaibandha, Dinajpur, Netrokona, and Jessore. This would not have been possible without the participation of various institutions and their Actioneers who collected the donations, sorted out the clothes, and travelled far and wide to distribute warm clothes and provide solace to the unfortunate ones. This year, CommunityAction has launched its winter project once again - Action: Ushnota 2011. It has been working relentlessly to make it an even greater success with institutions such as Sunnydale, IUT, Shondhani, and Renovation already having donated a large amount of clothes. It is important to remember that even a small contribution of yours can greatly benefit others. If you wish to embark on this exciting journey of serving the people, please jump on the bandwagon and get in touch with Sakib (01733448929). For updates, keep an eye on https://www.facebook.com /communityactionbd . How many lives did you save lately? Bethesda, Joker and Skyrim hit the Homerun! The Spike Video Games Award is the Oscars of the gaming world and also the most prestigious award game developers are given. The 2011 VGA took place in the 10thDecember and like always it was biggest union of the biggest faces of the gaming industry. The event was held in Sony Pictures Studio in Culver City California and was hosted by Zachary Levi. Most of the awards this year were taken by Bethesda Studio's (awarded Studio of the Year) The Elder Scrolls V: Skyrim as it won the Game of the Year award as well as well as Best RPG. Portal 2 was also showered with awards as it won the best PC game, best multiplayer game, best voice acting in both male and female as well as the best DLC awards. Batman Arkham City had its own share of awards as well, winning Best Action Adventure Game, Best Xbox 360 Game and Best Adapted Game awards. The Character of the Year award was given to Joker and the Gamer God award was provided to Blizzard Entertainment. Uncharted 3 won the Best PS3 Game award as well as Best Graphics. Unlike the previous years, this year a new award the Video Game Hall of Fame was given to The Legend of Zelda. Mass Effect 3 won the Most Anticipated Game award and AC: Revelations had to be satisfied with, the fitting, Trailer of the Year award. Well, that's pretty much it for this year and I'm sure gamers and developers can't wait till next year's awards because, frankly, these awards are the only appreciation they get for bringing out all the awesome games every year. The Dark shall hold sway. One by one, the Lights shall go out. The Sun shall lie slain beneath the Earth, his chariot stained with his scorching blood. The Moon shall have his dagger buried in her chest. They shall not have her. We shall sleep through the dawn-less morning. Quietly, patiently, the Shadows shall steal into the Deeps, drawing strength from the glowing embers of our forgotten fire. 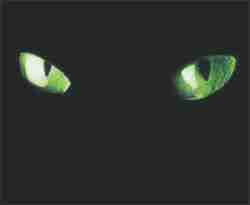 Nightmares shall haunt us; spectres wreathed in ethereal fumes shall hound our stumbling, fleeing footsteps. There shall be no peace. There shall be no respite. We shall smite blindly upon the walls of our prison, screeching incoherently. They shall follow. They will have no reason to hurry.